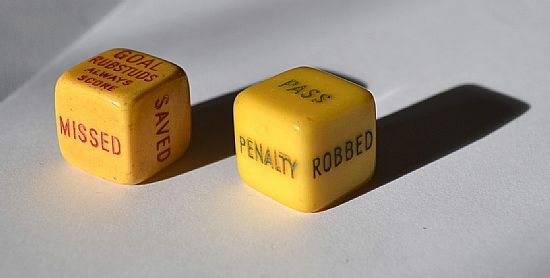 A 1950s Bakelite dice game "Socca Dice' adapted for promotional use by Rubstuds, makers of rubber football boot studs. 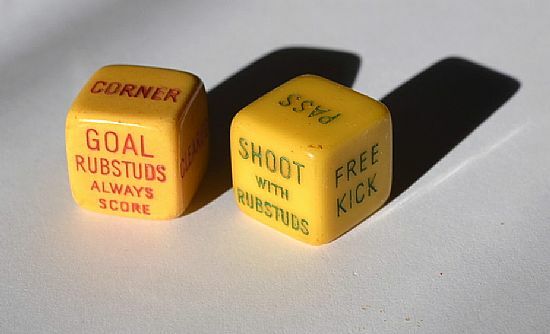 Two classic football die with the usual options printed on them plus mention of Rubstuds. Two dice. Roll the first dice (green) and then the red dice for the outcome.